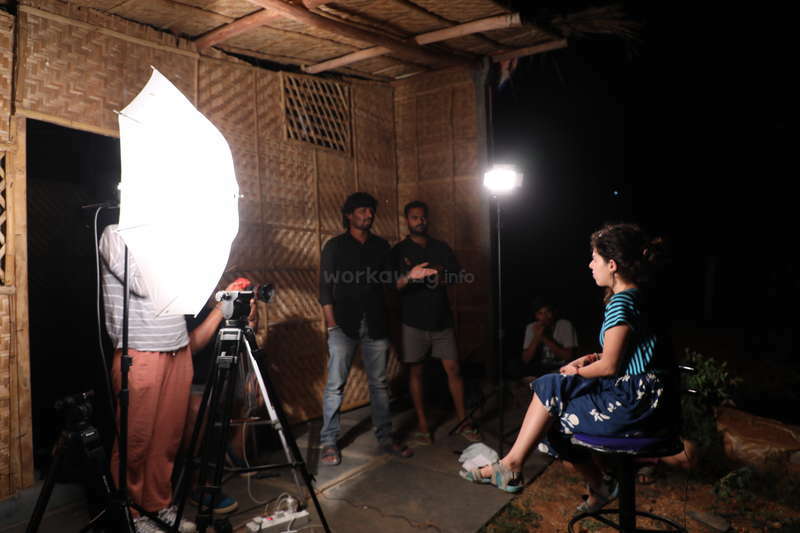 Be part of an exciting film project or my home stay in Hampi, India. Web and logo designer needed! I'm Muralidhar and I have been living in Hampi with my family for 20 years. I'm always happy to meet new people and welcome guests to our family home/guest house. I am a movie maker, having previously worked as an assistant movie director in the Tollywood industry, and I'm in the process of planning my future crowdfunding film which will be shot in Hampi and the surrounding areas, a five year long dream of mine. The aim of my project is to collaborate with many different people from around the world. I want us to work together, share knowledge and create a beautiful piece of art. Hampi is the perfect place for everyone to meet as it is a popular destination for travelers which is the reason I selected it as the location. 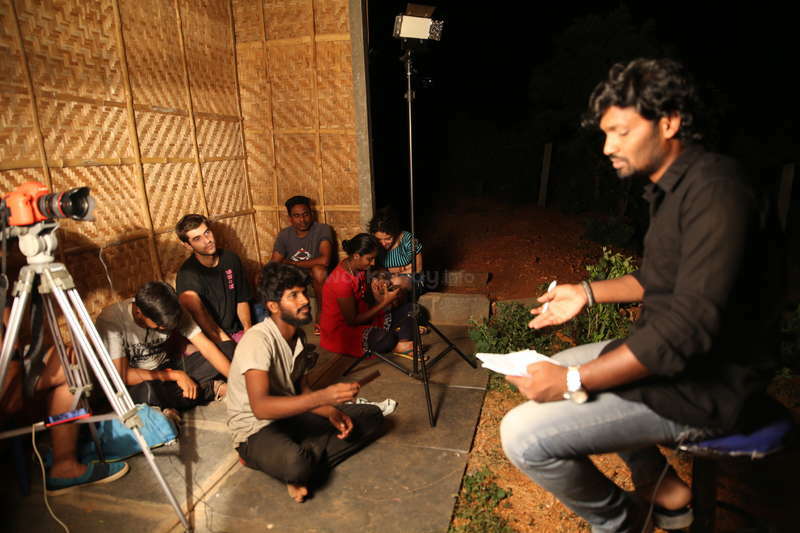 The script is a very simple, relatable story shoot in and around Hampi. More information about the project will be available shortly. Our home is open to guests with a variety of rooms on offer, and we are one of the few guest houses in my village. We are a very laid back family, but also take pleasure in offering a great service to our guests. Please let me know in your email which project you would like to be involved in. For my film project I want to share my knowledge and learn from other film industry professionals. Contributing would involve working together on creating a future project that is already in the preproduction stage. I’m open to both big and small ideas so any level of experience would be appreciated. We love to meet new people every day and learn from each other through the sharing of movie making skills. To share is to learn and in learning, we come to care greatly about ourselves and other people. We truly believe that we are all just students of the world and its people. You will stay with me and my family as a member of it, sharing time with us or enjoy beautiful Hampi and learn about the Indian culture like a local. 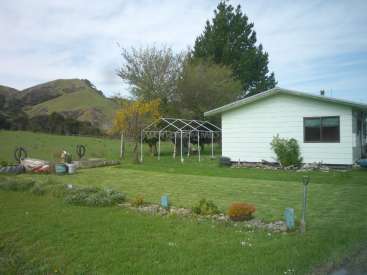 I am a very friendly and sociable person and enjoy spending time with the people who come to stay with me. If you would like to, we can spend time together outside of the expected working hours if I have time to do so, as I love to share Hampi with my guests. WEB AND LOGO DESIGNER NEEDED ASAP; to redo my current website for my production company and to create a new site for my upcoming film! I also need a logo designer for my home stays to create the logo and animation. If you have any web design or logo design experience and are interested in helping out please let me know. The work will mainly be based on collecting experience to share movie technical knowledge. This is a project where we will work together with many different nationalities from various countries around the world, so you will make connections with film professionals for your future career and provide a great platform for networking. The shooting time of the film is scheduled to be in 2019. The project and help I need is varied and will change depending on the time you join, could for example be marketing, editing, graphic design or anything film production related you can think of, it is much appreciated. I would like us to be able to learn from each other and therefore the nature of this work is less rigid and structured and more about sharing ideas and knowledge. With this project, I am open to working only during specified hours, but I am also open to having more flexible working hours because of the nature of the work. If you are interested and think that there is anything that you can contribute to the project, please come and join us, work together as a volunteer and be a part of this film project. 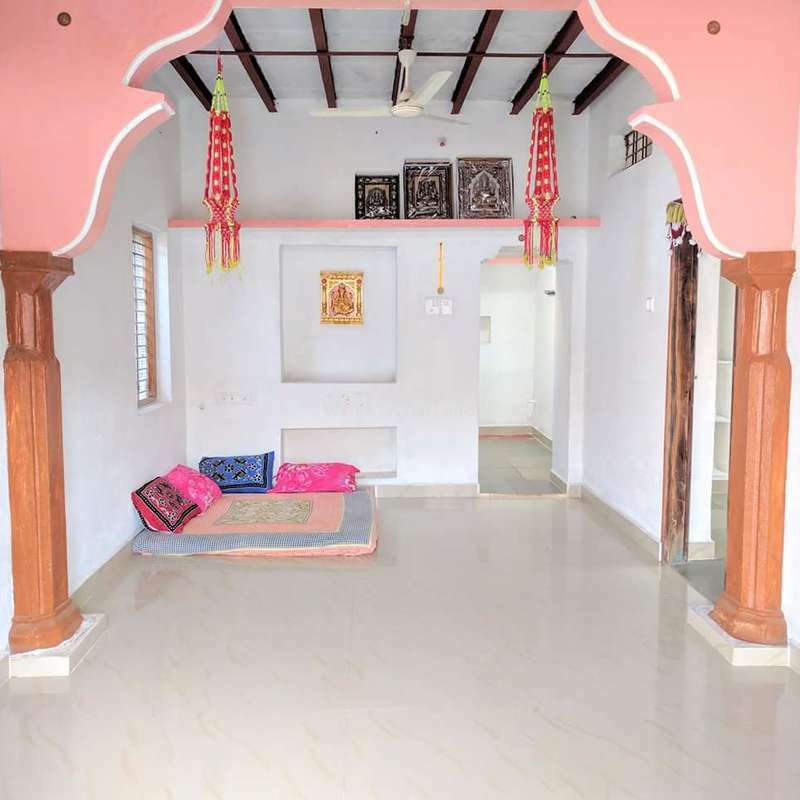 I have several home stay properties around Hampi area, so I am looking for someone who could help me improve them for example, artists or people with interior design experience. By giving me ideas and advice I can learn from you while you can enjoy a local Indian experience. Please let me know if there is a specific area in which you think you could help so that i can prepare things for you to do when you are here. Prepare the rooms before check in and clean rooms after check out, clean the rooms each day and other general maintenance jobs. 1. Please like and follow our film project pages on Facebook, Instagram and YouTube to learn about the project and keep updated prior to your arrival. 2. Once you arrive please send invitation to our Facebook page to all your friends, this really is a worldwide project and we want to spread the word as much as possible, so this little thing would really help us. 1. 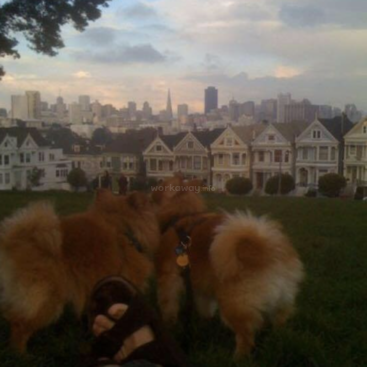 You will be staying in one of my home stays during your stay so please be flexible and respectful as you will be sharing space with paying guest. This is my livelihood so please accept if I have to move you around during your stay. 2. Please turn off tabs, fans and lights when not in use and leaving the house and keep everything nice and tidy thank you. Depending on the season, you will either have your own room during low season or shared accommodation during high season when I have full bookings, please be flexible and adjust accordingly. Unfortunately at this moment I can't provided food, but each place of mine there is always some family members there, If you want to have food you can ask them but you will have to pay for yourself. I don't involve with food because this is how I can help my family members and local people from my village. Other local food options are also available around my properties. You are going to have plenty of free time to discover temples of Hampi, have a swim in the river and lake, bike around the countryside, go to Hospet which is the nearest city. You can rent bike or bicycle. Anisa and Asya came to stay with me and really did a wonderful job. They helped me with poster design for our film project and could not have asked for a better help. They were both really professional and reliable. And even after they left Anisa would check up and see if I needed any more help. So great to meet wonderful people like you… read more guys. Thanks for everything and all the best. We are very happy for your great work and we are happy that you are a part of our film project. We had a great time in Hampi with Murali. We stayed in our own, far to big house in a little village not far from Hampi and loved it very much! We enjoyed learning about Muralis film project and his approach in creating that movie with the help of volunteers from all over the world is really amazing and it was nice being a part of that! 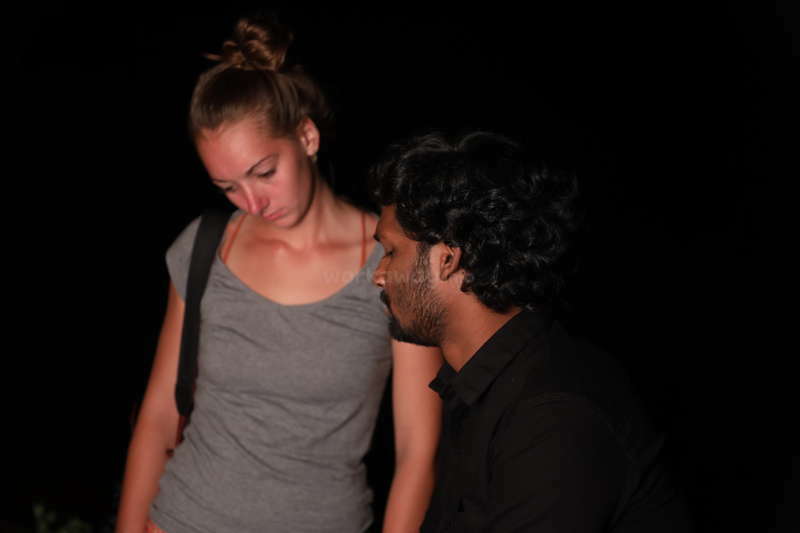 We highly… read more recommend staying with Murali and make sure to check out his project! Nike and Jakob stayed with me for 4 days here in Hampi. They are both such great people very friendly and supportive. I would recommend everyone to host this couple. Fernanda was such a great support to me and my projects. Shes a great girl and really got along with everyone, we all consider her a part of our family. Shes a very talented macrame artist and she made a very beautiful piece for one of my home stays. She also helped make a video with her to promote my film project. 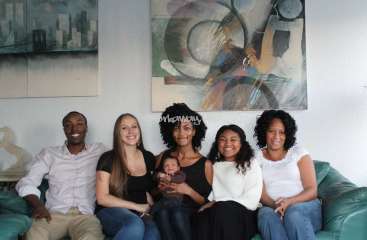 I would highly recommend hosting… read more her shes such a great person with great energy. Ines was a great support to me and my film project, she helped me out a lot and I really appreciate it. She a friendly and smiley girl and I would recommend everyone to host her. All the best and good luck to you in your further journey. 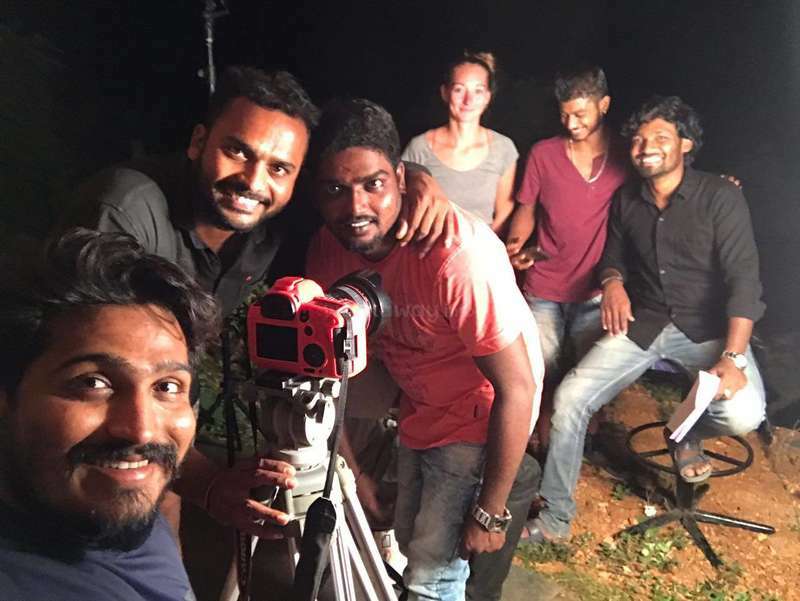 I really liked to participate in the movie project with Murali he is very energetic and focused on the project so I hope it is a really succes because he really works hard for it. It was really good to come to hampi and join murali, he show me around and introduced me to friends in town it was an amazing experience. Marie and Andrea both of them they are really great guest iam very happy to host them, and they really helped me lot with my film and also for my Homestay, I was very happy for everything, I highly recommend everyone to host them. We had a great time with Murali in Anegundi (lovely small village near Hampi). We helped him a bit with the homestay and with his film project. The food was super delicious, cooked by the wonderful Padma. Don't hesitate to join the project !! My stay here was really good. I loved helping around the place and the work was easy. It felt just like home and it was so lovely to be made welcome into Murali's family they looked after me very well. After work is done there is plenty of free time to explore the area. I would definitely recommend this as a place to stay and will be coming back… read more when I visit India again. Debbie's stay with us it was a great experience, she is very helpful and friendly and did a great job interacting and looking after the guests. She is proactive and always ready to give a hand. So thank you very much for everything and all the best in the future. Your always heartily welcome back at our place any time. Murali is a very kind and super inspiring guy. I was happy to help him with his graphic design and ideas he has for his film project as it is an amazing idea to bring all communities together! I wish him the best of luck in continuing this idea to spread throughout India and the world! His family were also so kind and cooked amazing food. A very… read more authentic and humble experience. Thank you! Christina came to help out at my place and she was a great help. She is friendly and has a positive attitude. I was very very happy for Christina help, I highly recommend everyone to host Christina, When you coming back to Hampi please always heartly welcome back to our place at anytime. Thank you very much for everything. Thea is really great person all of our family members we really love her the way she mingles with everyone, She is become a part of my family we are very happy for everything she has done, I highly recommend her to everyone, she is the best. She helped a lot and she doesn't get bored of anything we say she is very very good. My stay at Muralis was great and I had an amazing time. Murali and his family were great hosts and made me feel right at home, with delicious home cooked food and company. Work was easy and in free time there is a lot to see in this beautiful area of India. 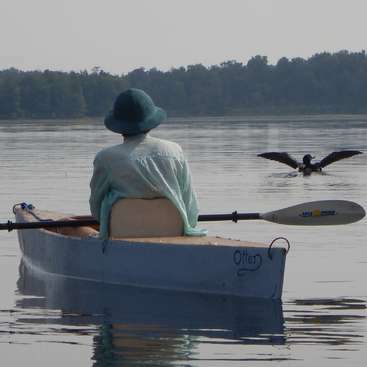 I would highly recommend this host for a peaceful, homely stay. 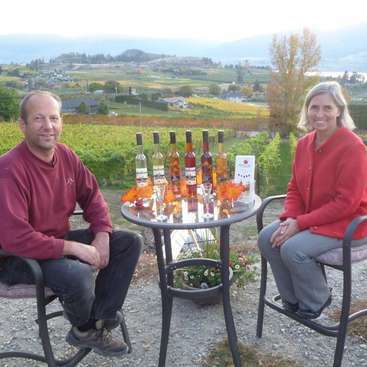 Help out in our distillery and hobby farm in the South Okanagan, British Columbia, Canada.